We are super excited to be moving forward with prepping the space at 45 Temple for the bakery, and about all the awesome trainings we have had access to through the Ignite grant program. 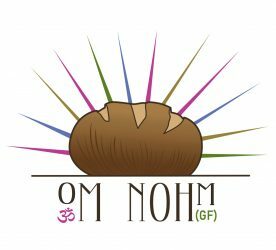 Today 43North is featuring an interview with Om Nohm Gluten Free’s founder Jessamine Daly-Griffen! Previous PostPrevious Celiac Support Group Coming to Fredonia! Next PostNext Opening Date is Set!